If you’re driving your car and you feel frightened a little bit, we bump up against that feeling as much as we can to try and push that limit further, and get comfortable there and then push it again, so you’re constantly on the brink of crashing, because that’s the fastest. update: This blog post is meant for older versions of django-authopenid. The latest version available at pypi has implemented a fix similar to this one, and hence works out of the box, you wont need this fix. Thanks to Mike Huynh for pointing this out! I've been playing with Django over the past few days, and it's been an interesting ride. For a person who really likes PHP's shared- nothing, file-based system model (I'm mostly a drupal guy), Django comes across as overengineered at first, but I'm beginning to see why it's done that way. I was trying to get single-signon working, and settled on django-authopenid over the other django openid libraries, django-openid, django-openid-auth and django-oauth. It was easy to use and understand, and wasn't seven million lines of code. Obviously this is a very cursory edit. I'm too lazy to improve and submit this as a patch, so readers are encouraged to submit it to all relevant projects! 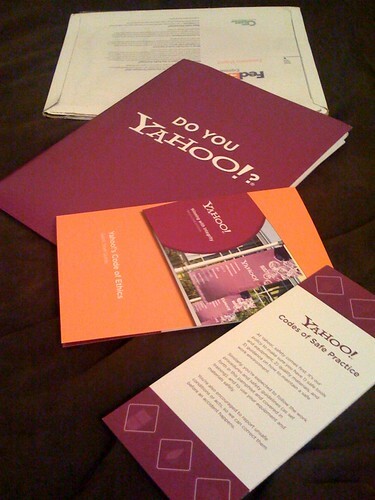 For those who care, I will be working at Yahoo! Research in New York this summer. The offer letter just arrived in well designed (and very purple) packaging, with seventeen thousand million documents to sign. Nonetheless, I’m excited about working there! I’m having trouble getting used to the new Gmail button. Here’s the explanation, in a simple animated GIF. My my motor memory remembers the position of the “Delete” button, and finds the “Move” button in its place. Also, “Move to”? WTF? It looks like the fruit of a religious compromise between the “Folders are evil, Labels are googly” and “Folders are how the world works, you hippies” camps. Hey design-by-committee… Look, it’s your new friend, Gmail! The video overview of the SIGMOD 2007 demo is now up! In the late ’60’s I worked for Bell Labs for a few years managing a data center and developing an ultra high speed information retrieval system. It was the days of beehive hair on the women and big mainframe computers. One day I took a camera to work and shot the pictures below. I had a great staff, mostly women except for the programmers who were all men. For some reason only one of them was around for the pictures that day. A fun set of pictures. Today I’m planning to try Ratatouille, which Katherine’s making for me. Also in the works is Blended chicken soup; I’ll post the recipe once it’s done. I also found an interesting blog called Jaw Dropping Blends which hosts recipes for people just like me!